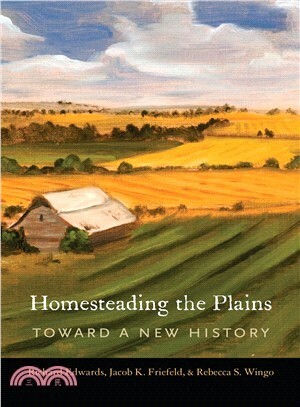 Homesteading the Plains offers a bold new look at the history of homesteading, overturning what for decades has been the orthodox scholarly view. The authors begin by noting the striking disparity between the public’s perception of homesteading as a cherished part of our national narrative and most scholars’ harshly negative and dismissive treatment. Homesteading the Plains reexamines old data and draws from newly available digitized records to reassess the current interpretation’s four principal tenets: Homesteading was a minor factor in farm formation, with most western farmers purchasing their land; most homesteaders failed to prove their claims; the homesteading process was rife with corruption and fraud; and homesteading caused Indian land dispossession. Using data instead of anecdotes and focusing mainly on the nineteenth century, Homesteading the Plains demonstrates that the first three tenets are wrong and the fourth only partially true. In short the public’s perception of homesteading is perhaps more accurate than the one scholars have constructed. Homesteading the Plains provides the basis for an understanding of homesteading that is startlingly different from the current scholarly orthodoxy. Richard Edwards is the director of the Center for Great Plains Studies and a professor of economics at the University of Nebraska–Lincoln. He is the author of numerous books, including Natives of a Dry Place: Stories of Dakota before the Oil Boom. Jacob K. Friefeld has a PhD in history from the University of Nebraska–Lincoln, where he is also a postdoctoral research fellow. Rebecca S. Wingo is assistant professor of history and director of the public history program at the University of Cincinnati.